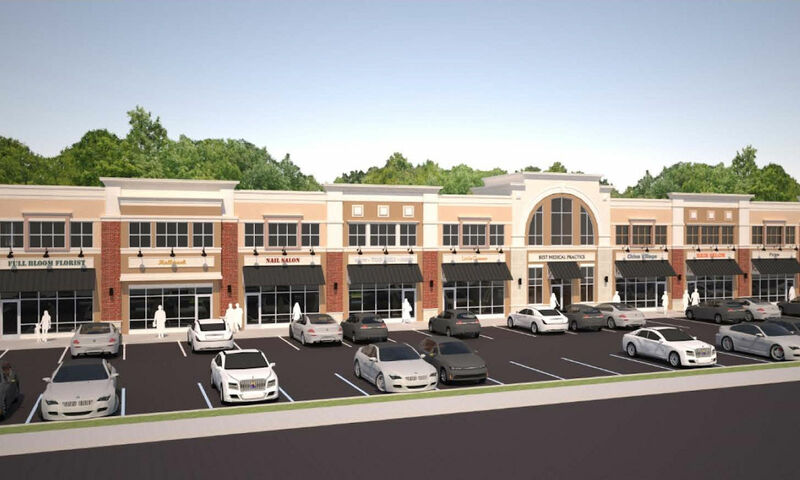 Pancoast & Clifford recently broke ground on an Office/Retail Center at North Park Plaza in Downingtown, PA. The 24,000 SF building, when completed, will replace a previous building which was severely damaged by fire in 2015. The new building has a steel super-structure, light gauge metal frame exterior walls, and fully adhered EPDM roof. The exterior façade is composed of brick, cast stone, EIFS, aluminum storefronts and standing seam metal covered awnings. The Architect for the project is Brad Giresi of GiresiDesign, LLC. Completion is scheduled for Fall 2017. Pancoast & Clifford is a highly respected, West Chester PA General Contractor and Construction Manager serving greater Philadelphia PA. The firm has successfully completed projects in virtually every commercial building category, and has earned a reputation for adding Value in all phases of construction.